This entry was posted in Books, Phillips Academy, Teaching and tagged Andover High School, Christopher Lord, Connected Learning, Khan Academy, Lawrence Public Schools, Marinel McGrath, One World School House, Phillips Academy, Sal Khan by jgpalfrey. Bookmark the permalink. Having watched a couple of grandchildren working on Khan Academy exercises, I was very interested to note that they preferred this work to their “regular” school homework. “It’s more useful,” said one. How great that this material is available to everyone. Connected learning is another term that could describe both Khan and MathTV.com with their videos that are shown to students across the country. Keep up the good work John. I retired 22 years ago and wish I were back at Morse Hall starting with this. Thanks Harriet. I missing you and your family at P.A. functions. Congratuations and appreciations to Mr. Palfrey for exploring applications of online learning at Andover! 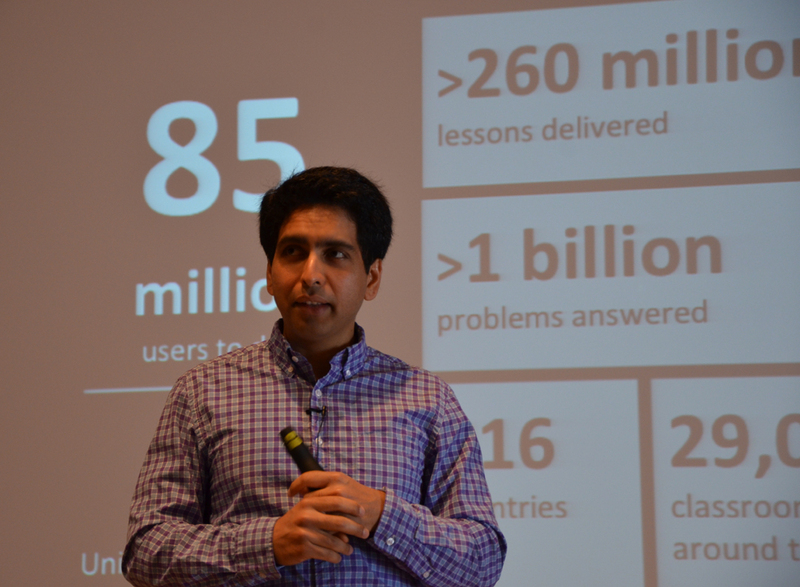 His insight and understanding of both secondary education and connected society will help Andover navigate the advent of disruptive initiatives like Khan Academy and the universities’ MOOCs. Though fraught with risks, online learning, deftly managed under John’s leadership, can enhance the residential F2F experience of our students on campus, leverage Andover’s singular pedagogical excellence to the benefit of a wider student audience, all the while enhancing Andover’s global brand, reputation and contribution.